The New Republic: WikiLeaks Hurts US Foreign Policy WikiLeaks, and its founder Julian Assange, have touted the organization as promoting transparency, but Heather Hurlburt of The New Republic says this latest leak might have the opposite effect. It will make declassifying information more difficult. Heather Hurlburt is the executive director of the National Security Network. Will the latest Wikileaks dump really matter that much? "One is struck overall that the classified diplomatic discussions on Iran revealed in the cables are not all that different from what one would expect from following the public comments senior U.S. officials have made on the Iran issue the last several months." But, with all due respect to my friends in the blogosphere, diplomacy was never about stating the obvious. Here are three ways the leaks could have a lasting impact on American foreign policy. None of them will be good news for those of us who value transparency and who believe diplomacy, not force, should enjoy primacy in the U.S. approach to the rest of the world. I spent almost a decade working at the State Department and overseas. After reading through these files, I cannot stop imagining just how hard it will be for Foreign Service Officers to do their jobs. One former Officer, Alex Grossman, summed it up for me nicely: "fear of publication will only prevent people from voicing frank and honest opinions, assessments and recommendations." "The ramifications for U.S.-Russia relations are difficult to overstate. So much rests on trust between individuals in a relationship like that where baggage of mutual suspicion extends decades back. When they see the details of their assessment of Iran's ballistic missile program posted online, which they provided to U.S. interlocutors in confidence, they will think more than twice before ever telling us something sensitive again." Not being a mind-reader nor possessed of the right stripe of nationalist paranoia, I have no idea how the leadership factions in North Korea will make sense of the revelations regarding their missile programs and sales, much less U.S.-South Korean discussion of a post-North Korean order. But this can't make dealing with them easier. In the last few years, there has been some progress toward classifying fewer documents and using the more rarefied classifications less frequently. This series of leaks will almost surely reverse that progress. 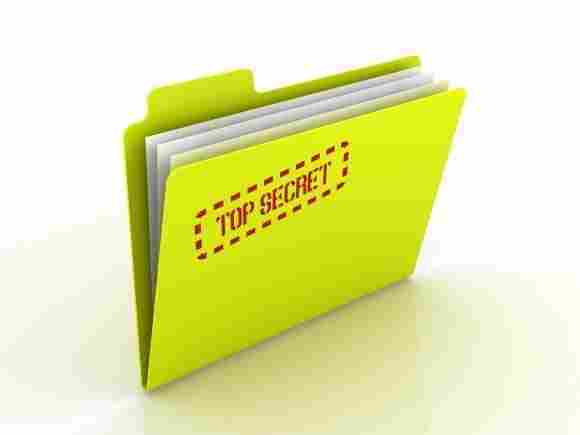 A top-secret classification would have kept any of these documents off the shared network from which they were allegedly downloaded by a very junior soldier. You can bet that the intelligence community will make that point--not only to justify stronger classification of new documents but also to slow the declassification of old ones. Civilian administrations at least since Clinton's have been trying to speed up those efforts. Now they will go even more slowly, making it harder to learn the whole story of how our government analyzed an issue, treated an individual, or reacted to a crisis. And make no mistake: You can't get the comprehensive history of a diplomatic episode from Wikileaks any more than someone could learn the comprehensive truth about you by downloading the top 20 e-mails from your inbox right now. Historians and other champions of truth should not be pleased. In my day job this week, I'm thinking tactically about the leaks' effects on the issues of immediate concern to me: ratifying the START Treaty and promoting effective diplomacy to deal with Iran, while inching our way toward lasting peace in the Middle East and away from an endless military quagmire in Afghanistan. But underlying all those discrete policy positions is a common set of assumptions and values: that we live in a complex world where posturing, rigid ideology, and indiscriminate use of force will not get us, as a society or a global commons, to where we need to go; that quiet talk is much more effective than loud threats; that, in the long run, America's national interests will be best served if we see and act on them as inextricably linked with the interests of others. I've called them progressive, because they are. They're also, with a bit less emphasis on the global good, realist. Or you might simply say they are sane and reasonable. But if we can't conduct quiet diplomacy and have it stay quiet, it's a lot harder to make this approach work. Could Sadat and Begin have gotten to Camp David without months of quiet preparation? Could Nixon have gone to China? And back here within the U.S., you can count upon the opponents of progressive policies to use the Wikileaks dumps to advance their agenda. They'll take items out of context and use them to justify ideas like bombing Iran, rejecting the START treaty, and god-knows-what to North Korea. The Wikileakers claim to promote the politics of peace and moderation. But this latest dump could very easily have the opposite effect, by giving the absolutists a chance to spread their stereotypes and illusions of a black and white world.